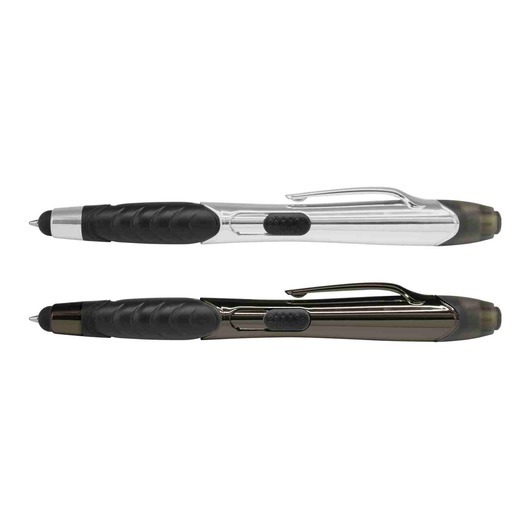 Multifunction ball pen that is also acts as a stylus for your touch screen devices and has a highlighter for your creative needs. 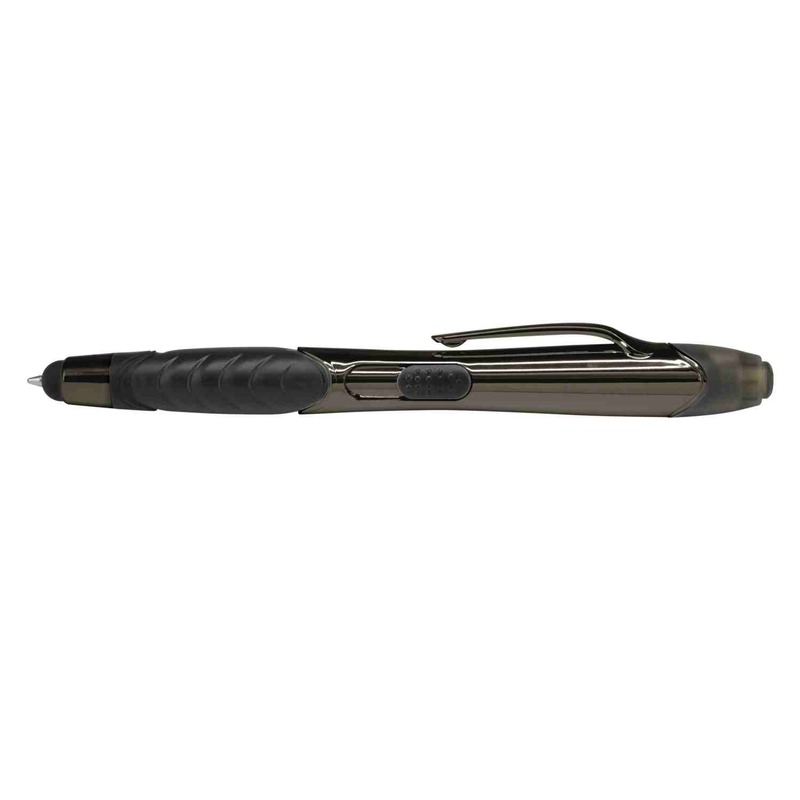 The masterful multi-tasker, has been taken to a new level, allowing you to expand your creativity beyond paper with this retractable ball pen. 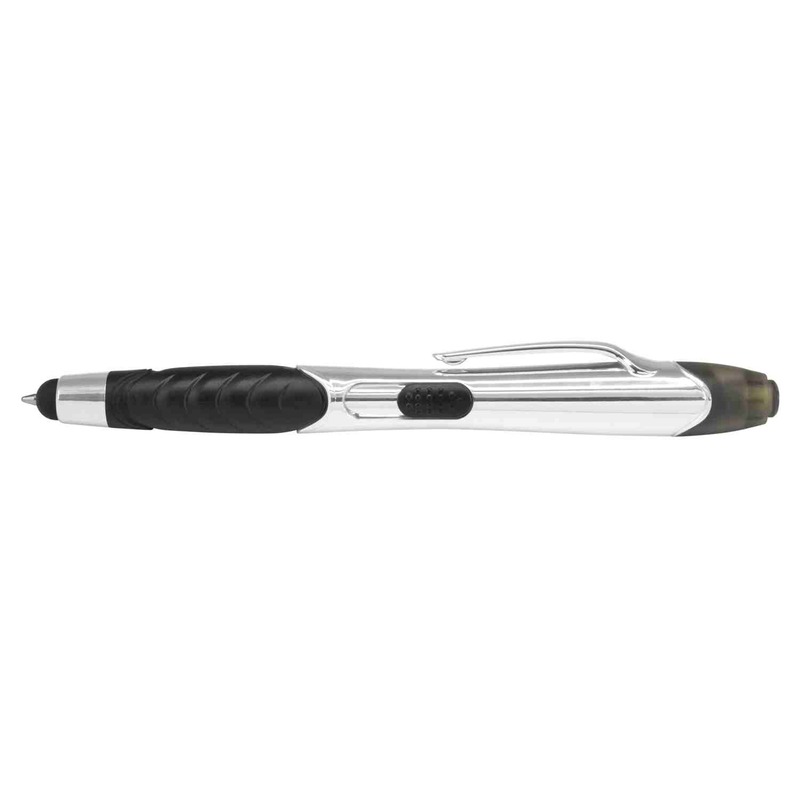 Made of plastic and metal with a highly polished UV lacquered barrel, a soft rubber grip, a stylus for use with touch screens and a yellow highlighter. It has a black refill with 400 metres of writing ink and a tungsten carbide ball for improved writing quality. Can be presented in an optional velvet sleeve or a gift box. Enhance the way you work and create, every day!